The authentic Timesvape Mask RDA is a 24mm atty with classic bridge clamp design like Goon, which is suitable for fancy coil building. 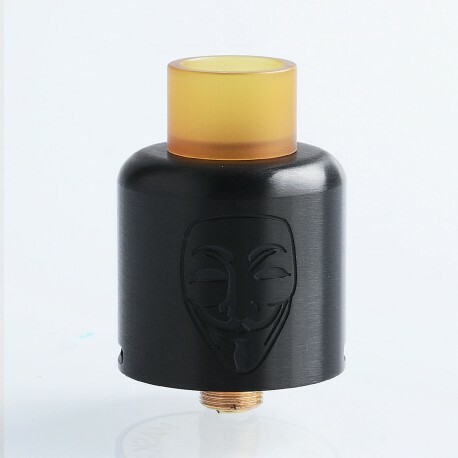 The cap has engraved Anonymous Mask logo on it. 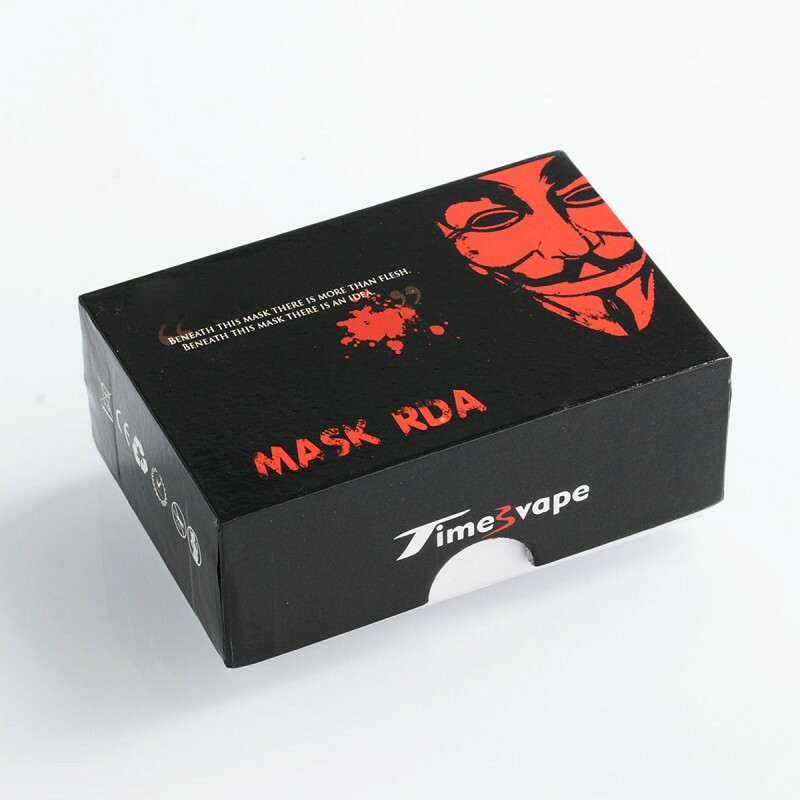 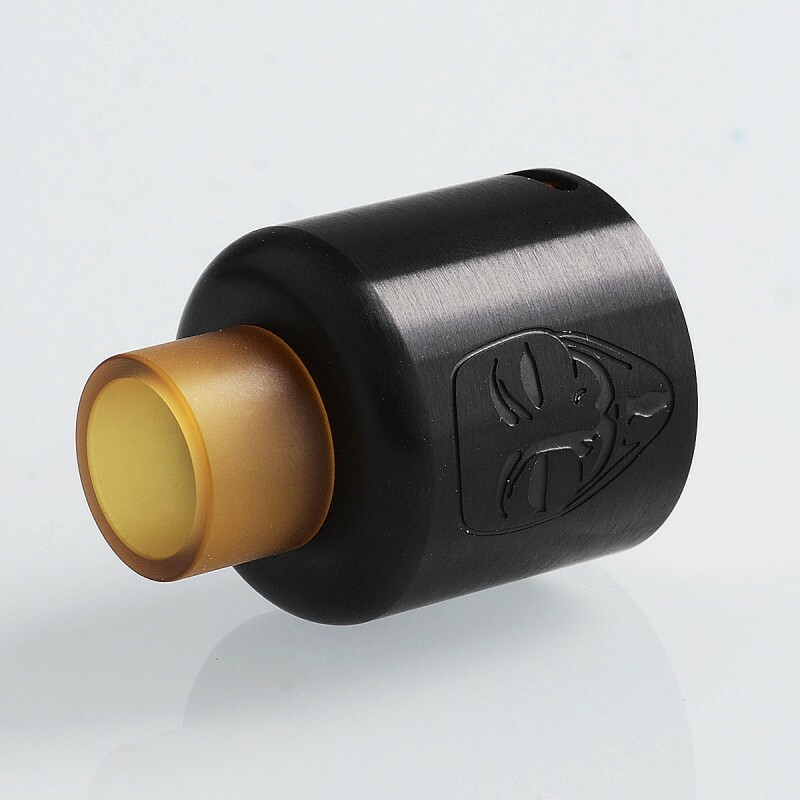 The Mask RDA comes with bottom airflow system. 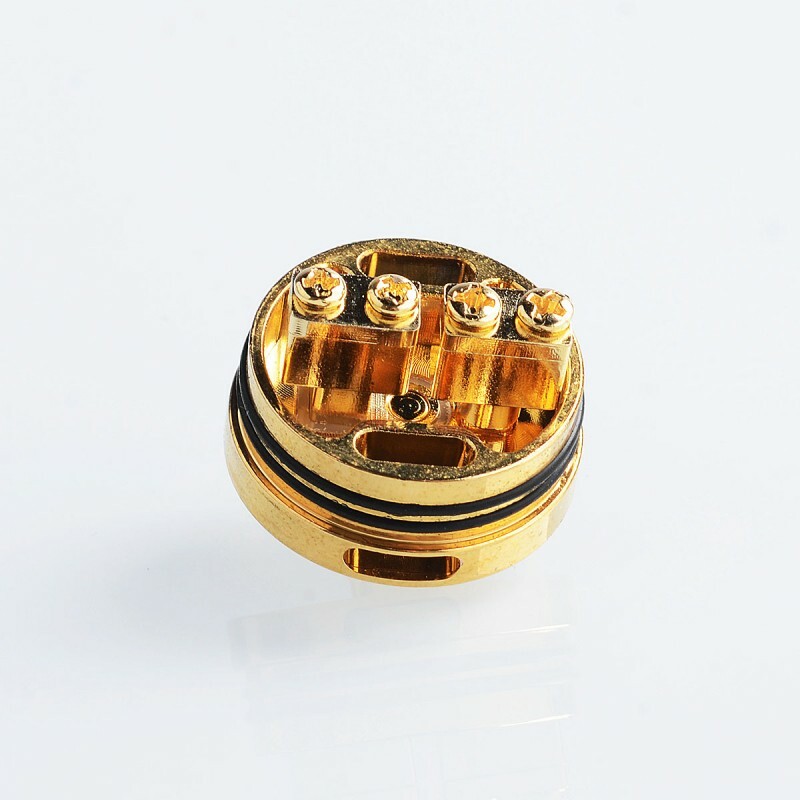 The whole base is 24K gold plated to guarantee its conductivity. 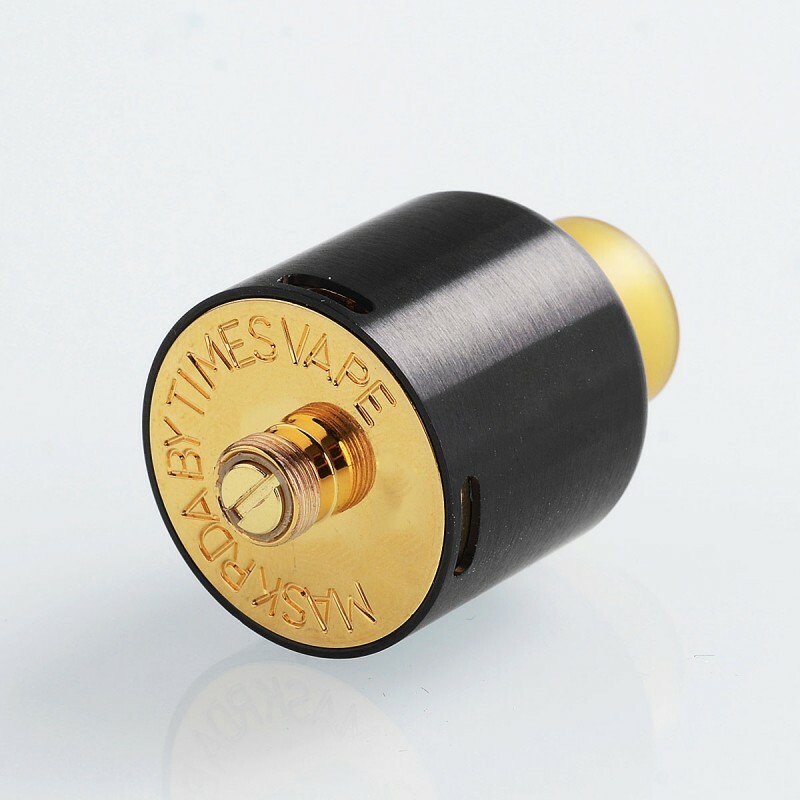 PEI wide bore drip tip is included.